Jason Starr is an agent with the CIA. This is certainly one of the strangest premises for a series in the whole compendium. Jason Starr is a genius programmer, holder of two PhD’s and a Masters degree, happily living in California with a successful career and a good life. He is approached by the government, not named as such but almost certainly the CIA, to help with a project called Hysteria. Reluctantly he agrees and is suddenly in the military with the rank of Colonel, working on a very hush-hush assignment. The strangeness occurs when the project goes haywire and Starr is suddenly let go. But his mind starts playing tricks on him. Glimpses of other times and occurrences that may not have happened start to plague him. 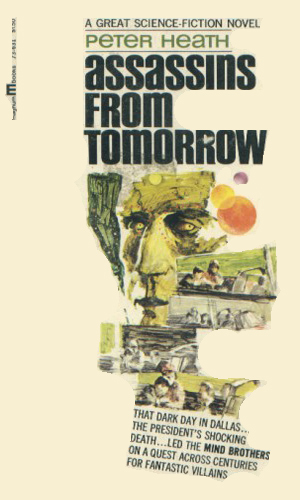 Even as he wonders about his sanity, he is approached by a man calling himself Adam Cyber; a man from "tomorrow". The future described by Cyber is an incredibly bleak and desperate one, a world that would not be wished for by any sane man. To stop the world from the changes that will bring this horrific result, he has traveled and he hopes, by teaming with Starr, he can prevent it. His presence, though, and the connection he has with Starr begins a series of incredible occurrences that cause numerous authorities to go on the hunt for Starr. Starr soon learns that changing the future can be hard if it looks like you will not soon have one. Is Cyber really there or just in his mind. In either case, does he truly exist or is he just Starr's unbalance taking 'shape'? Is the time travel the truth, as unbelievable as it seems, a manifestation of Starr’s mental problems, or someone’s strange idea of a con. Whichever it is, Starr soon learns that what he and Cyber find out about conspiracies can get him really dead. For real. Hired to work on a top secret project on thought control, Jason Starr is stunned when the project is suddenly shut down. As he tries to find the reason, his reputation is destroyed by the Communists who have their own such project. Jason Starr and his Mind Brother uncover disturbing evidence that the assassination of John Kennedy had its origins in the future. The concept is so outlandish that the proof is ignored and Starr is again all alone, except for someone not really there. Start with a virus so powerful a thimble of it could destroy all life. Throw in a submarine that just vanishes, along with its nuclear missiles. End up with a President who is considered mad. Jason Starr faces all this as he tries to avoid huge forces out to kill him. There is no way to adequately describe this intriguing series. 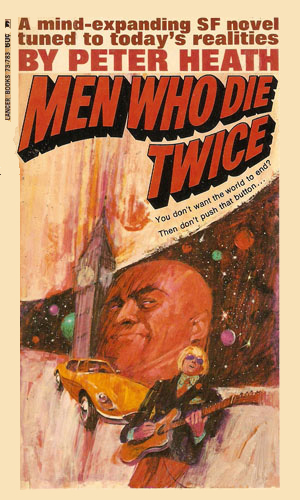 It is very well written, although a bit too fast paced. It is certainly different. I enjoyed it a lot even if it got old having the main character wonder about his sanity and having everyone else wondering, too. 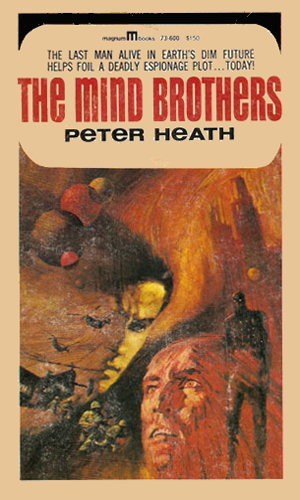 Mr. Heath deserves considerable credit for an exceptional job merging two genres usually so very different, sci-fi and spy-fi. I know I would not like a steady diet of it as the two genres usually work together only when it is exotic weaponry or gadgets or dangers, not when we are talking about time travel and the like.